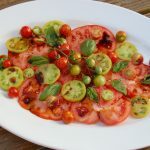 I like to use a variety of tomatoes in this simple, yet elegant salad. Enjoy with a nice bottle of wine and some crusty French bread for soaking up the delicious dressing! 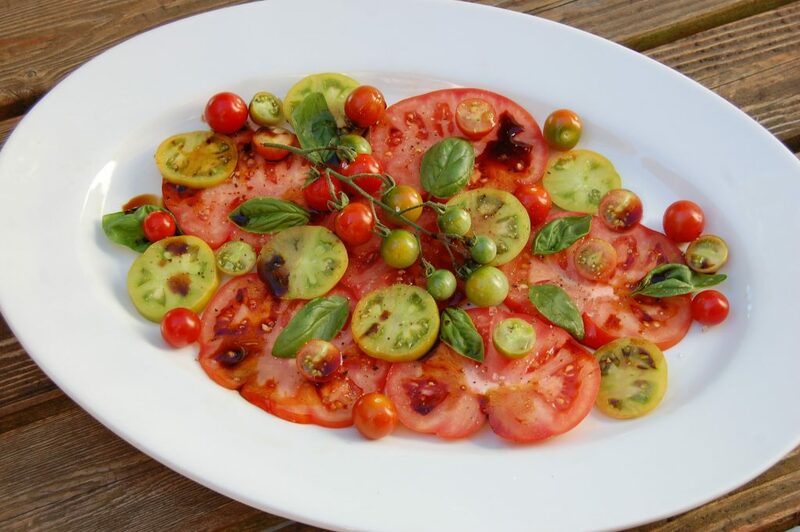 Slice a variety of tomatoes and arrange on a plate(s). Sprinkle with coarse sea salt and freshly ground black pepper. Top with fresh basil leaves or ribbons.